Ford Motor Co said on Wednesday that it lowered its earnings forecast for the full year due to dropping sales as well as trade tariffs in China and the continuance of struggles across Europe. The automaker said that ongoing plans for revamping its business might lead to charges before taxes of as much as $11 billion during the upcoming three to five years. Ford, the second largest automaker in the U.S., postponed its meeting with investors as well that had been scheduled to be held in September. 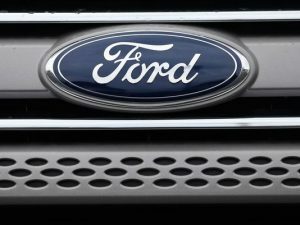 Ford said it is going to reschedule that meeting when it has more specifics that are able to be shared on global restructuring and redesign. CFO Bob Shanks said it was clear a redesign is fundamental and will be deep and will address the parts of our business that are underperforming. Shanks said the automaker would improve the underperforming units’ performance or dispose of those that could not be improved. Ford’s net profit for the second quarter fell by nearly 50%, missing expectations by analysts, due to a parts supplier suffering a fire that disrupted the carmakers production of its most popular pickups and dropping sales and trade tariffs hurting Ford’s business in China. During afterhours trading shares of Ford fell 3.7%. Tariffs, particularly the ones imposed on aluminum and steel imports into the U.S. by the White House administration, are likely to cost the automaker over $1.6 billion in the U.S. during 2018, said CFO Shanks. The struggles by the automaker to boost its sales in China did not show any sign of ending even though it introduced new products in that market. Through its first five months of the year, Chinese sales for Ford were off 22%. Ford announced earlier in July that at this time it would not raise prices for imported Ford and its higher margin luxury line Lincoln in China, thus it would absorb the increased costs due to tariffs on vehicles made in the U.S.
Ford posted a pre-tax second quarter loss that reached $483 million for its operations in China. The declining sales for Ford, lower pricing and fewer sales in its SUV and crossover market created a snowball effect in China said Shanks and to get out of that it will take a while he added.